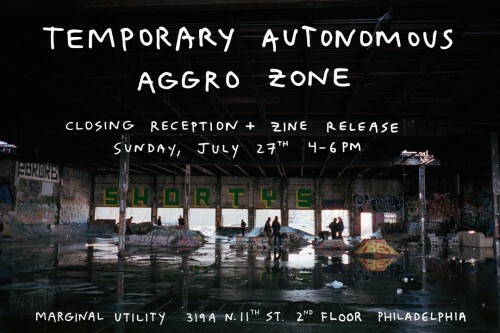 Zine Release + TAAZ Closing Reception - Marginal Utility, Inc.
“I’ll be doing a zine release at the closing reception for the show Temporary Autonomous Aggro Zone at Marginal Utility in Philadelphia. The exhibition pairs my most recent work from the Ironbound neighborhood of Newark, buy more about NJ with Rick Charnoski & Buddy Nichols’ 1999 documentary film Fruit of the Vine. The zine will be the last in a series I’ve been publishing annually on 4th of July for the past 10 years. Borderline Retarded #10 – THE DEATH ISSUE. If you love something, set it on fire.